I use a lot of analog synthesizers in my music so I thought it was time to start posting some nice examples of musical instrument design. I have always been obsessed with vintage analog synthesizer interfaces and although the Macbeth M5 is a modern analog synthesizer, it adheres to the design ethics of and pays homage to the modular synthesizers of the 60’s and 70’s. 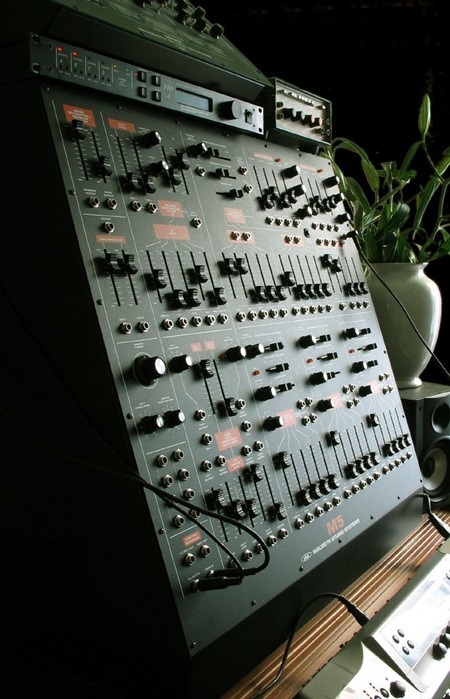 The color scheme and layout is evocative of the classic Arp 2600. 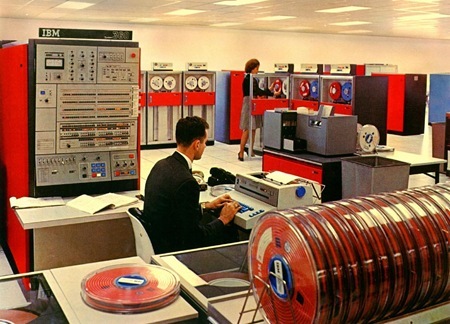 There is something so raw and utilitarian about the construction and layout of these that’s just beautiful. If you look at the interfaces of modern digital synthesizers it’s all plastic eye candy and blinking lights. I must admit, I have never played an M5, but it looks so good I think I can give it a pass sound unheard. Photo Via Macbeth. I will start posting some examples from my studio soon. 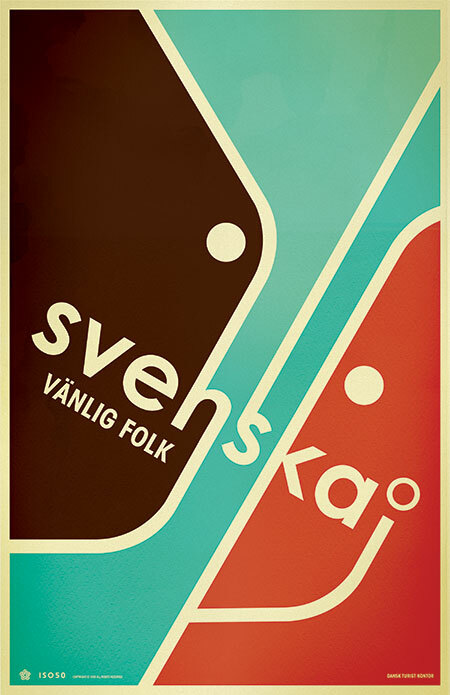 Alternate version of Svenska 2. All you Danes out there please correct my grammar! 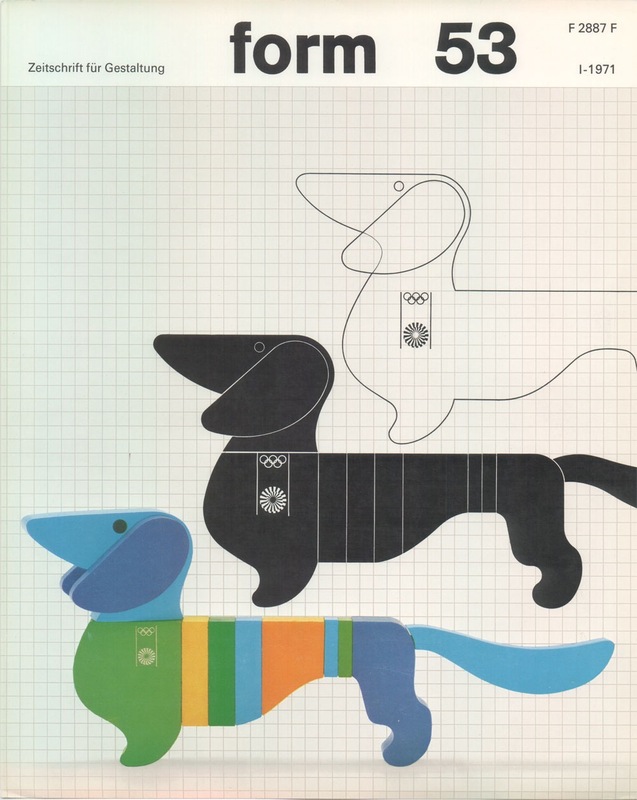 More Digital love….This time from the Core Memory book. 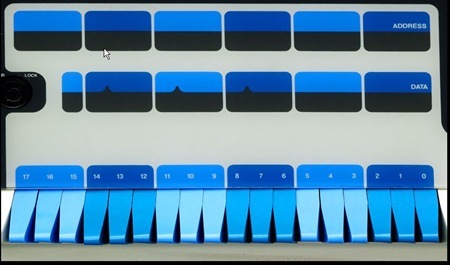 That blue is on a whole new level, I need those switches all over the place, controlling all functions at all times. 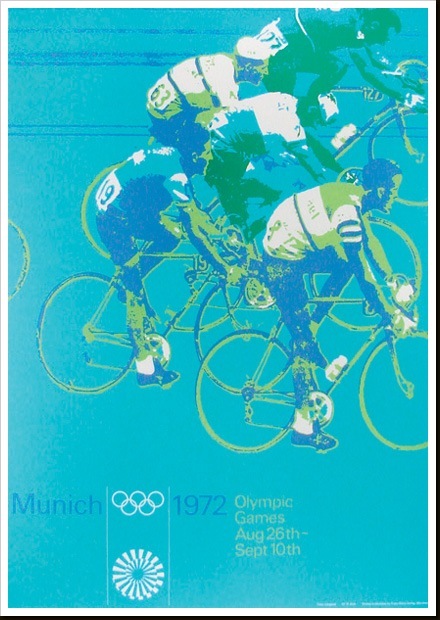 The 1971 Print has been reprinted and is now in stock at the ISO50 Shop. This print sort of juxtaposes the design ideals of the 60’s: the earth-tones and swirling, psychedelic, patterns; with the harsh, solid forms of the gothic lettering. 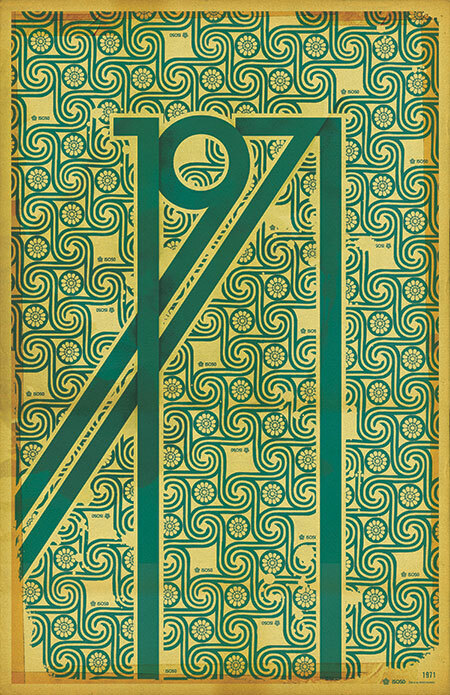 Oh, and also 1971 just looks badass all stretched out like that. 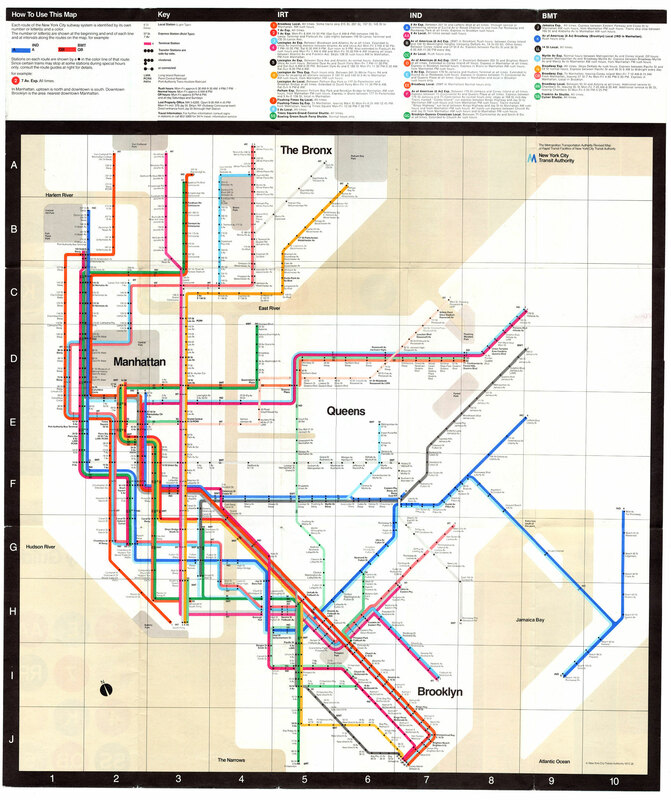 A 1972 map of the New York Subway system. Going to be using this a lot in a couple weeks so thought I would post it up. This is of course based on English graphic designer Harry Beck’s original topographic map of the London Underground (as Paul Mison pointed out in the comments, this is a later version of the map, not Beck’s original). This style of map was revolutionary at the time (1933) since it eschewed the geographically correct maps of the age for topographic representations of systems. This must have been a very big logical departure for a lot of people and a lot of credit is due to Beck for having the intuition to draw the map in this new way. Of course all this is beside the fact that it’s just plain beautiful to look at and a great work of graphic art in it’s own right. 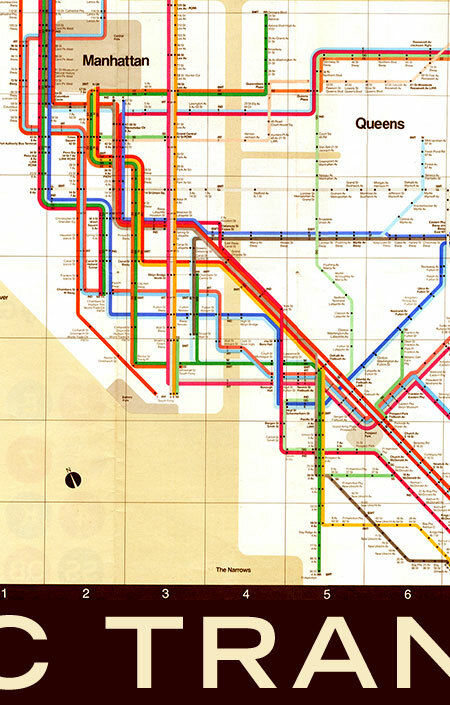 To this day, Beck’s map still influences the way networked systems are represented, the above image being a great example. I don’t think many designers can claim such a revolutionary concept as their own.